I was talking to a friend the other day about why I photograph and interview older people. 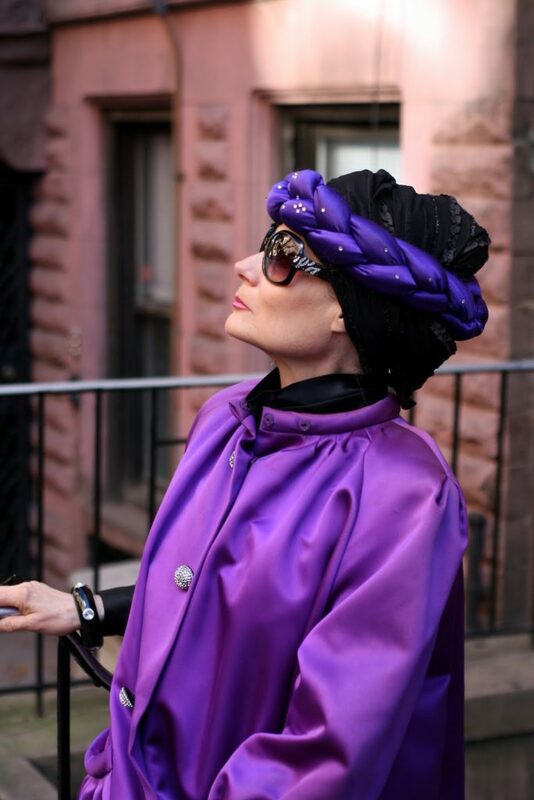 We went over how I was very close to my grandmother and how I wanted to bring focus on the advanced style set and show that beauty, style, and creativity don’t disappear at a certain age.She had an interesting point. She feels that many of these people continue on from a peak moment in their lives. Their hairstyles, way of dress, and manner of decorum are carried over from a time when they first began to feel comfortable in their own skin and elements of this moment become frozen in time.This form of developed presentation is what I am capturing on Advanced Style. 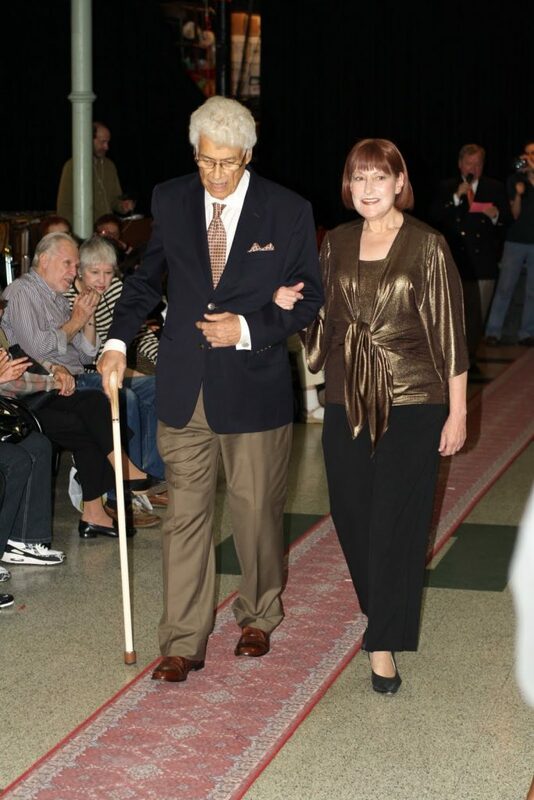 A majority of the ladies and gentleman I talk to tell me that although they have had interests in style throughout their lives, that it is in their later years that their personal style really developed as a result of years of experience. I try and feature a range of styles in my photographs, but I am particularly interested in this idea of a “peak moment”,frozen in time, where street style portraits speak not only about fashion history but also personal development. I spent most of my youth watching black and white movies with my grandmother. 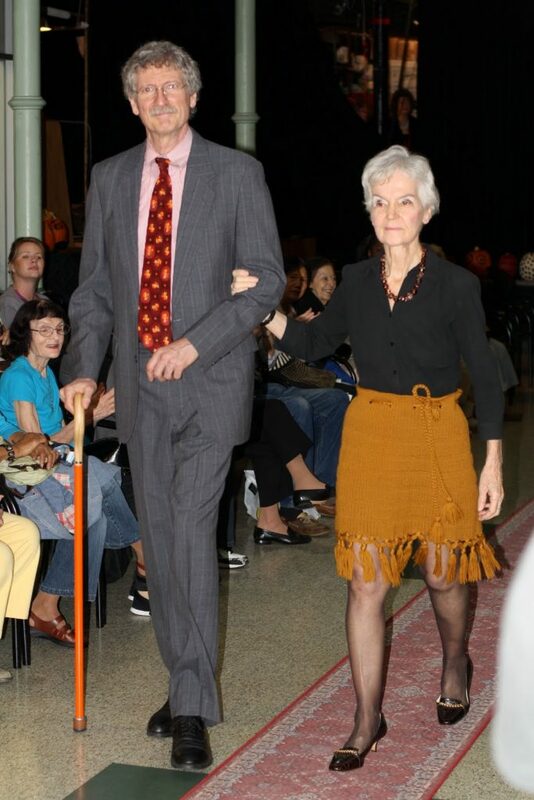 Seeing an older woman walking down the street dressed in the same style that she has been wearing for 40 years brings me back to these beautiful and graceful images.That’s not to say that people don’t continue to “advance” their sense of style.This is what makes my subjects so interesting to me,the combined wisdom and experience of a lifetime of dressing along with a willingness to adapt new ideas and trends into one’s lifestyle.The woman below mixes old fashioned charm with contemporary chicness. 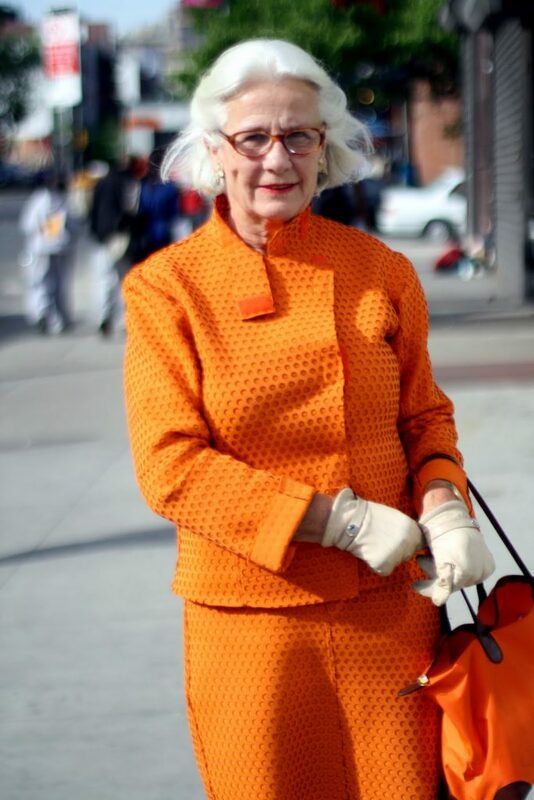 Her orange suit, although classically cut is made of Neoprene. 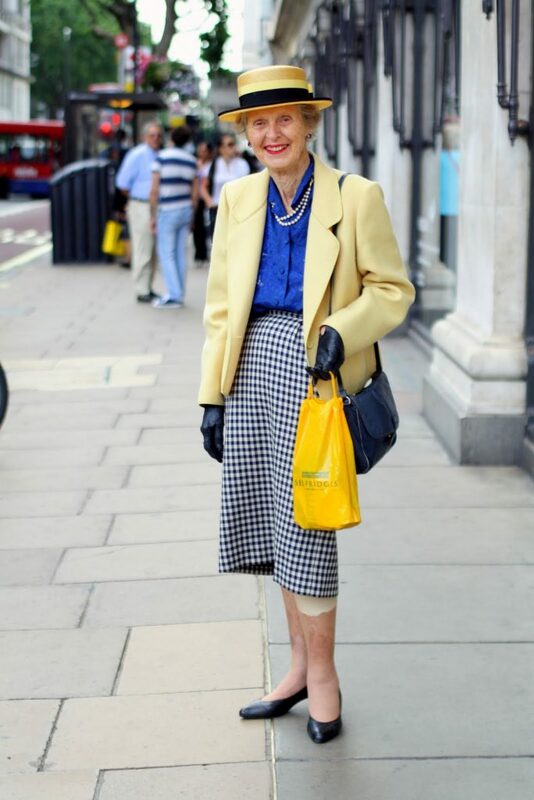 She is a wonderful example of how one becomes comfortable with certain things like her vintage gloves and classic tailoring, but the unexpected material of her suit exemplifies a willingness and desire to continue to learn, progress and advance.The key to looking stylish is confidence and older people have had time to develop not only a personal sense of style, but a comfort in who they are. 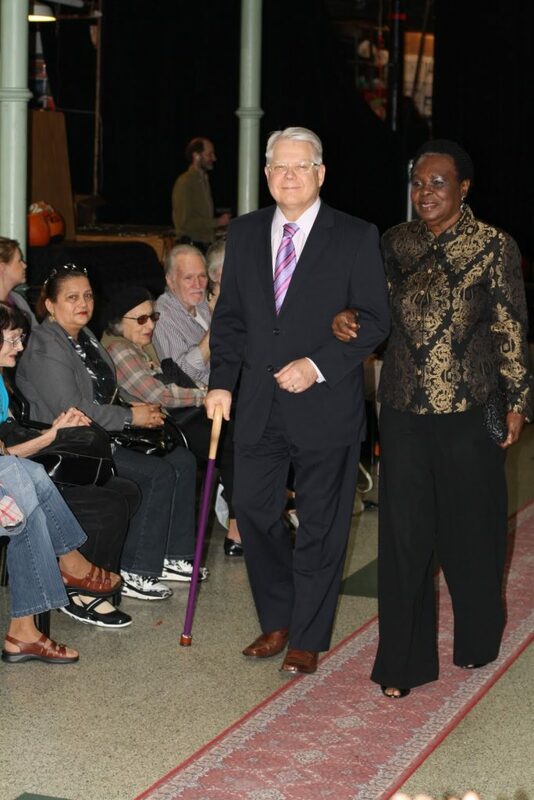 I attended The Carter Burden Center for the Aging 9Th annual fashion show where stylish seniors strutted down the runaway in their most fashionable attire. It was great fun watching these vital ladies and gentleman dance their way down the red carpet strutting their stuff for other senior members and staff. 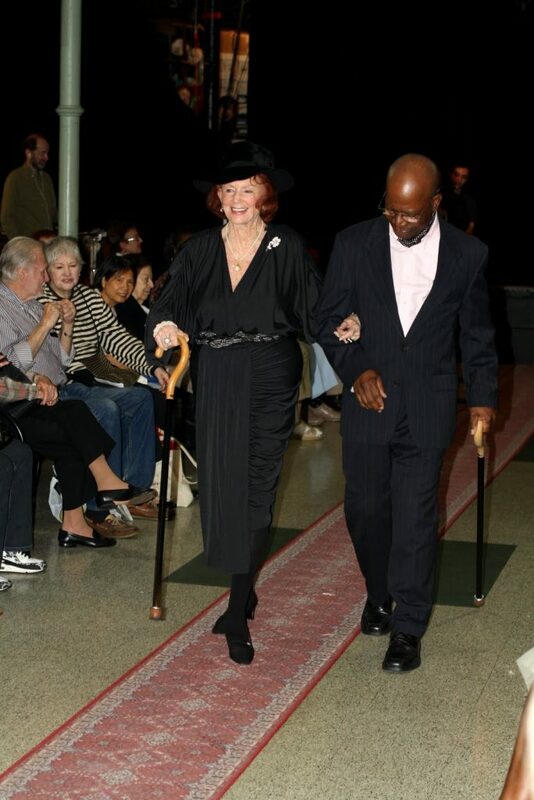 The Carter Burden Center for the Aging is an incredible organization that seeks to change the face of aging. The center,” promotes the well-being of individuals 60 and older through a broad array of direct social services and volunteer programs oriented to individual, family and community needs” and they are “dedicated to supporting the efforts of older people to remain in their own homes living independently, safely and with dignity.” Check out their website for more information on the center on the programs they have to offer http://burdencenter.org/ . Marcia is one of my favorite ladies to photograph because she is not only extremely stylish, but she has a big heart as well. By day Marcia dresses for work at a fashionable boutique, while the rest of her time is spent running her organization, Women Beyond Survival, which rebuilds and revitalizes communities ravaged by warfare http://www.womenbeyondsurvival.org/ . The photos above were taken for a series of articles that I am writing for the AARP website. My latest article, about fashionable sunglasses has just been posted. I hope you get the chance to check it out and I would love your feedback! 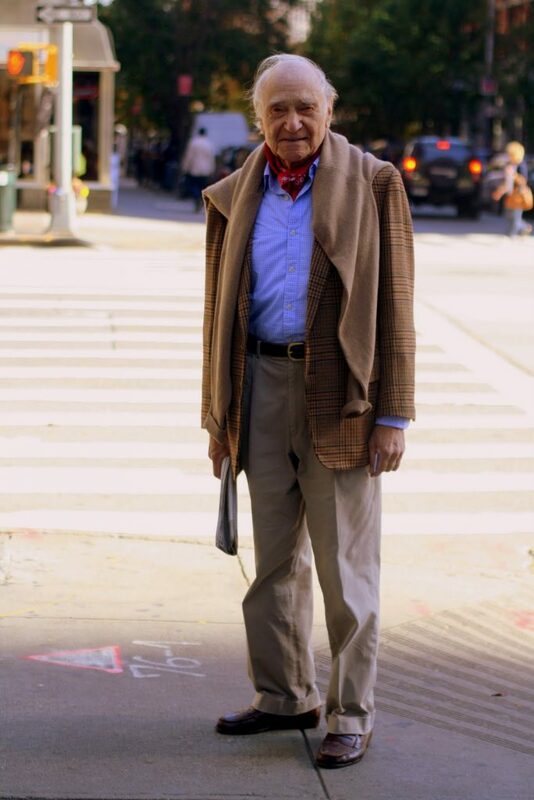 One of the many lessons I have learned from the ladies and gentleman of Advanced Style is to dress how you feel. The lady above offered some great advice when I asked about her style inspiration,”You shouldn’t dress by age, you should dress how you feel and look the very best you can at whatever age you are.” Advanced Style’s wonderful videographer Lina Plioplyte captured these fantastic words of wisdom in the clip below. 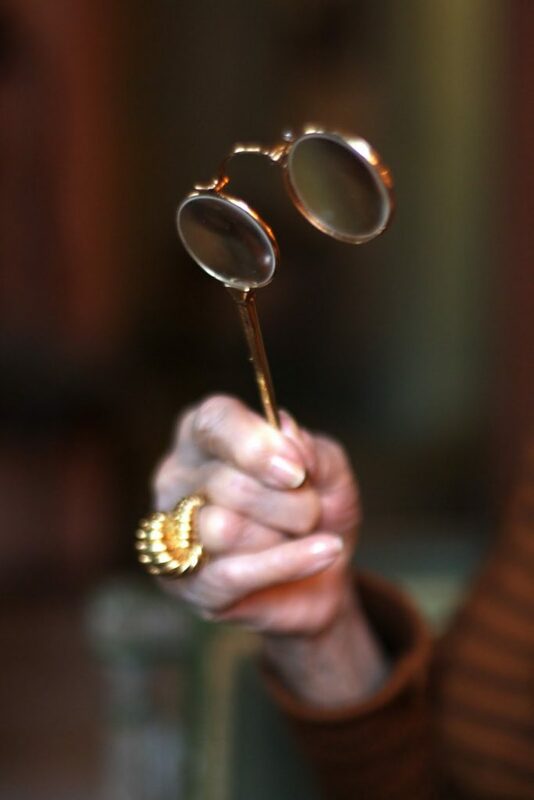 The other day I had the wonderful opportunity to interview an amazingly stylish 98 year old woman by the name of Rose . 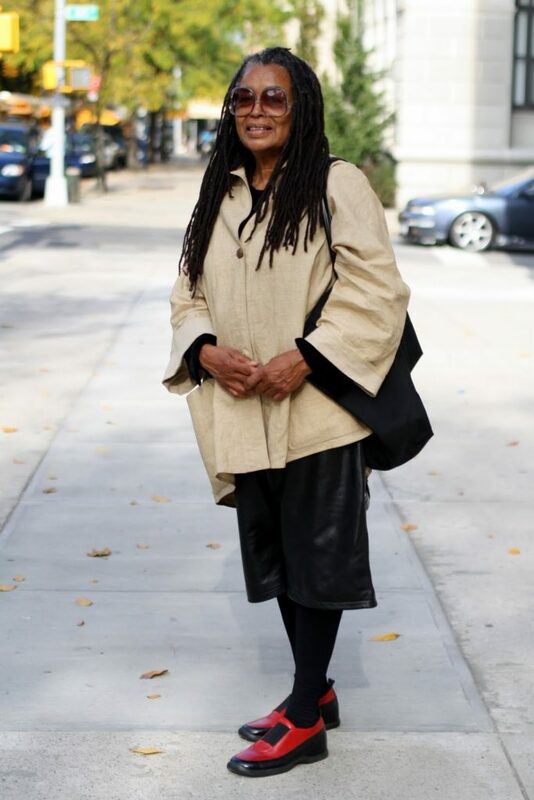 I met her a few weeks ago when I stopped to take her photo off of Madison Ave. She told me that she never allows anyone to take her picture, and she is not quite sure why she decided to say yes to me that fateful day. 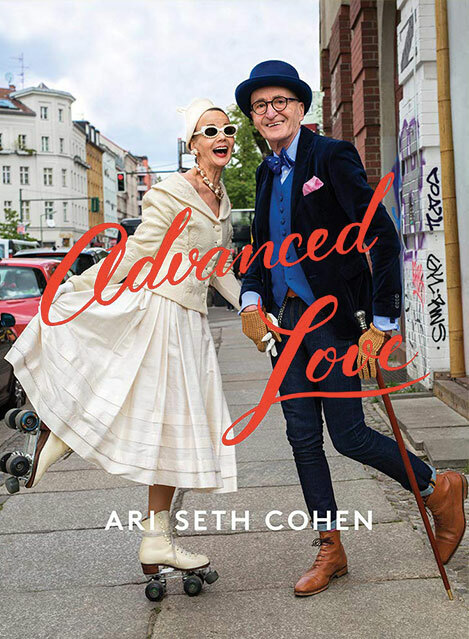 After appearing on Advanced Style, her grandchildren emailed me telling me that Rose loved her picture and that I could come by her place and ask a few questions about her life and style! 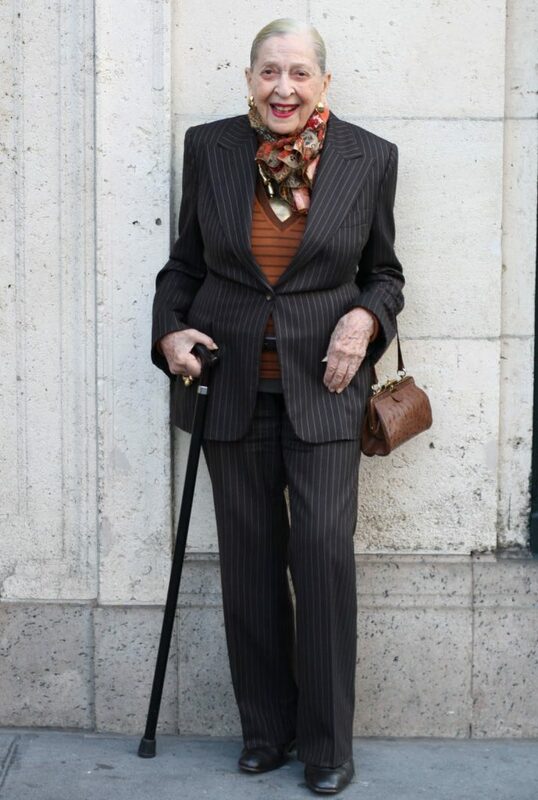 Even more inspiring than Roses’ fantastic fashion sense is positive outlook on life; Enjoy every moment and be happy with what you have.At 98, she has more vitality and spirit than most people half her age. 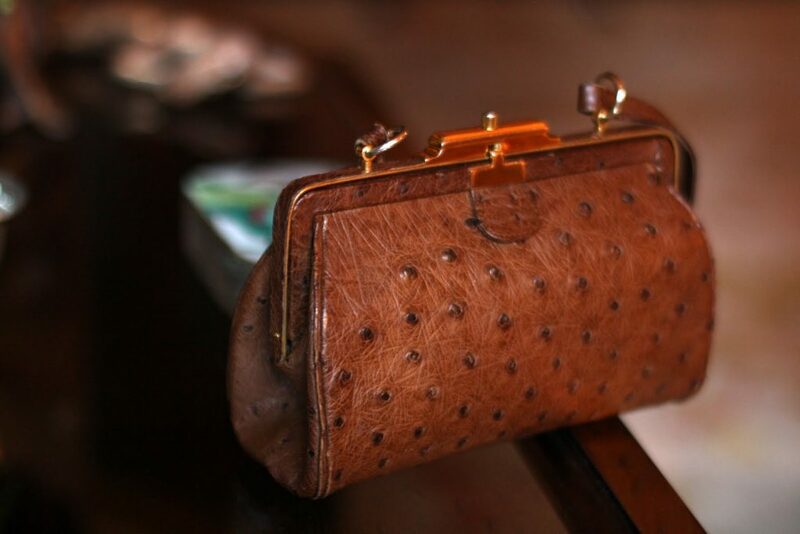 Check below for some of her cherished fashion secrets. Belts and Beads. Rose believes that a belt or unique strand of beads can really make an outfit and they don’t have to cost a fortune. 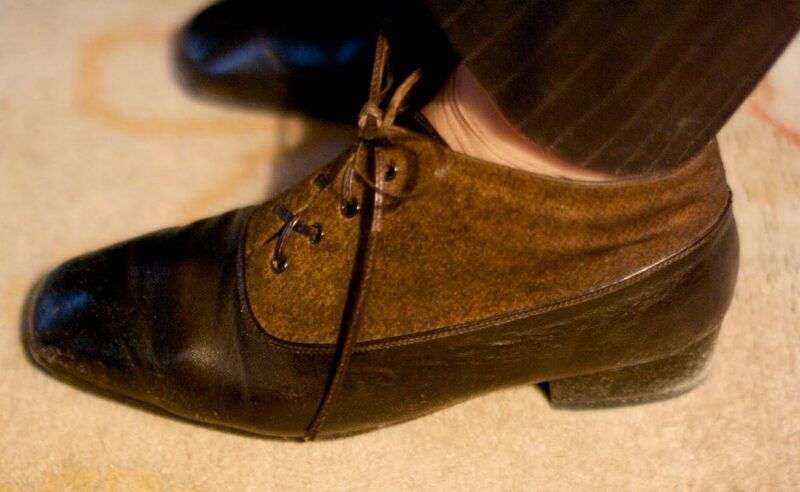 Take care of your feet and wear good shoes, but when you are going out for a night on the town “Fashion comes before comfort” At 98, Rose goes out every single night! No need to use expensive moisturizers, Rose swears by Oil of Olay which she has been using for decades. “Inexspensive lipstick is as good as expensive, only better!” Rose has tried every brand from Chanel to Lauder and has recently been turned on to Revlon.